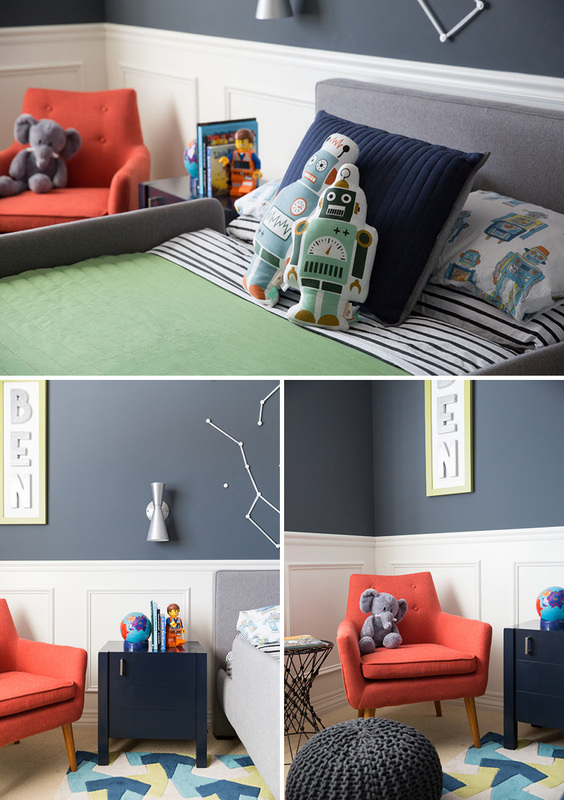 When designing a new bedroom for a boy obsessed with outer space, J & J Design Group pulled out all the stops to create a space that’s out of this world. 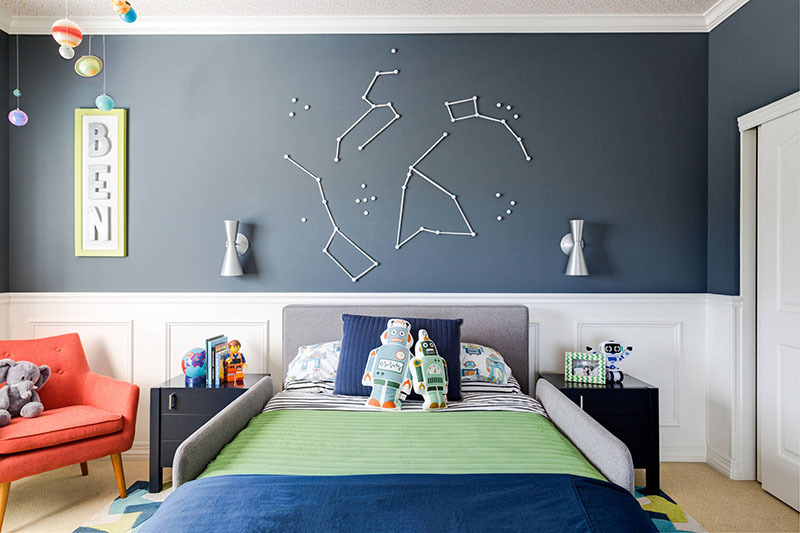 Above the bed, constellations have been created using white nails and string. The contrast against the dark, blue-grey wall really makes them pop and turns them into a main focal point in the bedroom. Other space elements, like robot alien pillows, a spaceman Lego clock, and an Earth shaped toy on the bedside table make sure that there’s no question that this is an intergalactic bedroom.